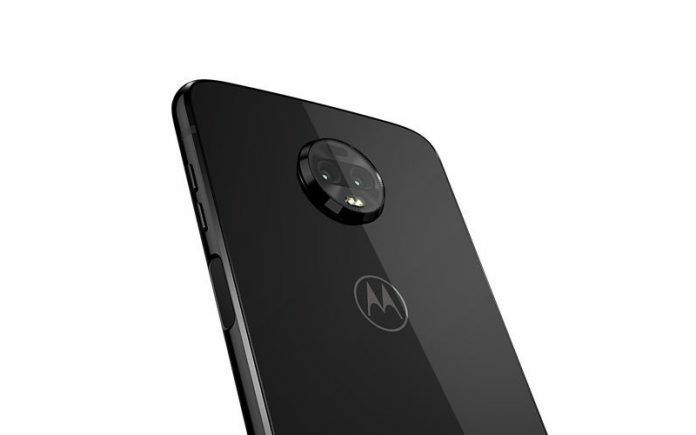 The smartphone will support Motorola’s upcoming 5G Moto Mod as well, which means owners of the Moto Z4 will be able to enjoy 5G speeds on Verizon’s network in the US sometime next year. 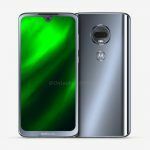 The folks over at XDA-Developers have come up with a new report that claims Motorola is currently working on a new flagship smartphone powered by Qualcomm’s next-generation Snapdragon 8150 chipset. In August this year, Motorola introduced its latest flagship smartphone, the Moto Z3. Unlike most other flagship Android smartphones released this year, the Motorola flagship smartphone runs on last year’s Qualcomm Snapdragon 835 octa-core processor, under the hood. Its main selling point is the 5G Moto Mod, which makes the Moto Z3 the world’s first 5G-upgradeable smartphone. While Motorola’s 2018 flagship isn’t the most impressive, fans of the Lenovo-owned brand can look forward to a much more impressive flagship device next year. The report claims Motorola’s next flagship smartphone is codenamed ‘Odin’ and may be marketed as the Moto Z4. Similar to the current Moto Z3, the upcoming ‘Odin’ is expected to be a Verizon exclusive in the US. 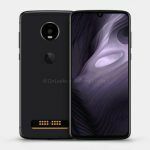 However, unlike the Moto Z3, the report claims Motorola could offer an unlocked model this time around. The next Motorola flagship smartphone will be powered by Qualcomm’s Snapdragon 8150 mobile platform. In terms of memory, the prototypes currently in testing, reportedly feature 4GB of RAM and 32GB of internal storage. The final retail units, however, are expected to be available in higher RAM and storage configurations. Unsurprisingly, Motorola is said to be currently testing ‘Odin’ on the Android 9 Pie operating system. 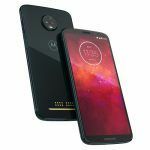 The smartphone will support Motorola’s upcoming 5G Moto Mod as well, which means owners of the Moto Z4 will be able to enjoy 5G speeds on Verizon’s network in the US sometime next year. The report also mentions the possibility of ‘Odin’ featuring an In-display fingerprint sensor. The Snapdragon 8150 is expected to be Qualcomm’s first mobile SoC to be manufactured on a 7nm process. Thanks to the switch to 7nm, Snapdragon 8150 should be capable of delivering significantly improved performance as well as efficiency compared to the current Snapdragon 845 SoC. However, the Snapdragon 8150 will not be the first 7nm mobile chipset on the market. Huawei has already released the Kirin 980, which happens to be the world’s first 7nm SoC. Apple’s latest A12 and A12X Bionic chipsets are also manufactured on a 7nm process. Qualcomm Snapdragon 8150 is tipped to feature a tri-cluster CPU configuration with 4 “little”, 3 “big”, and 1 “prime” cores. The chip will come with four “Silver” cores and four “Gold” cores. Owing to the single “Gold” core in the “prime” cluster, the chipset is expected to deliver impressive battery life. The isolated “prime” cluster could run at a higher frequency to take care of routine housekeeping, helping save power. Qualcomm’s next flagship mobile SoC is also expected to offer a new aptX Adaptive Encoder in the DSP. While Qualcomm is yet to make the chipset official, the next-generation Snapdragon SoC has been spotted on a few benchmark databases, revealing significantly improved performance numbers compared to the Snapdragon 845. The chipset was recently spotted on the AnTuTu benchmark database, where it scored a whopping 3,62,292 points. For reference, Huawei’s Kirin 980-powered Mate 20 series devices score around 3,11,000 points in the same benchmark. In adding to higher CPU and graphics benchmark performance, the Snapdragon 8150 will be a major upgrade over the Snapdragon 845 in terms of AI performance as well.